The Incus is an omni-directional airborne leak detector that responds to pressurised gas leaks. These detectors complement traditional gas detection methods used in refineries, gas plants and offshore installations. Ultrasonic gas detectors are the only type of hazard (fire or gas) detection product where the performance target set out in the installation safety case can be verified meaningfully and safely. The PTV-01 generates a burst release which represents the ultrasound expected in the event of an incident. No more than four tests should be needed to verify the total detection envelope. Accurate testing of ultrasonic gas leak detectors. The PTV-01 is portable and can be used by a single person. 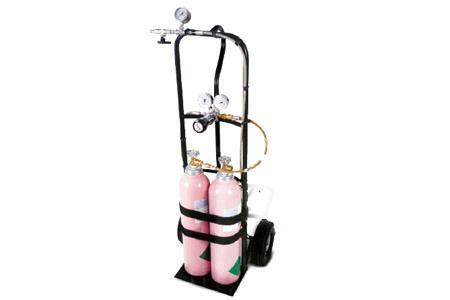 Inert gas release simulates worse case hazardous event.